On Wednesday, Donald Trump signed the very necessary Eliminating Government-Funded Oil-Painting Bill, which will trim the nation’s debt by a fraction of a fraction of a percentage point. Thank god. Trump administration officials, who like to drop thousands of dollars of public money to ride private planes and purchase your great-great-grandmother’s mahogany dining set, can no longer spend federal funds on oil paintings of themselves. I, for one, love how stupidly specific this bill is, banishing federal spending on portraits, but leaving room for other forms of state-sponsored art. 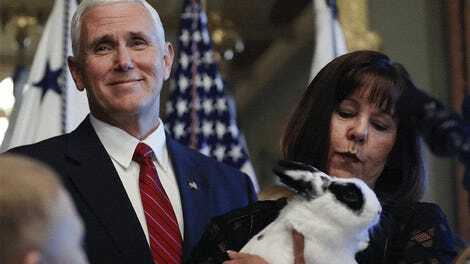 Perhaps the Trump administration is unknowingly ushering in a bold, new era of abstract art, stately lithographs of Congress, and whimsical India ink sketches of presidential pets—like Marlon Bundo. 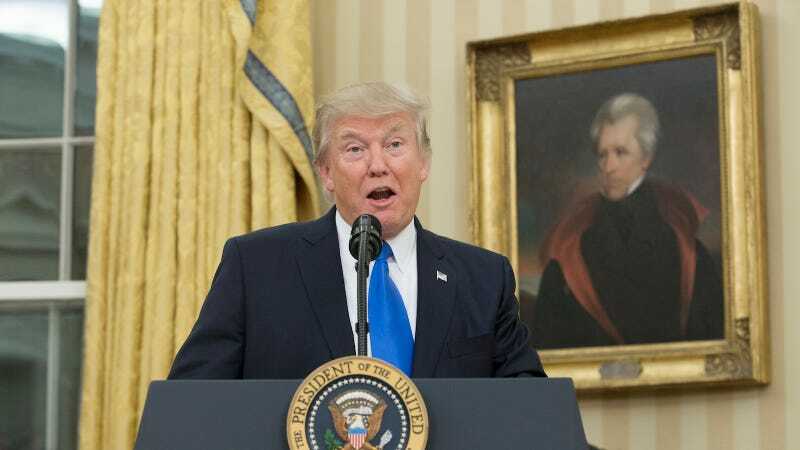 I suppose this also means that taxpayers won’t fund a painting of Donald Trump—as is usually the case for presidents, who generally fund their portraits through private donations—a man who 100 percent would hang it above his bed for his mid-coital viewing pleasure. Correction: This post previously stated that Sen. Bill Cassidy represents Illinois. He represents Louisiana in the Senate.